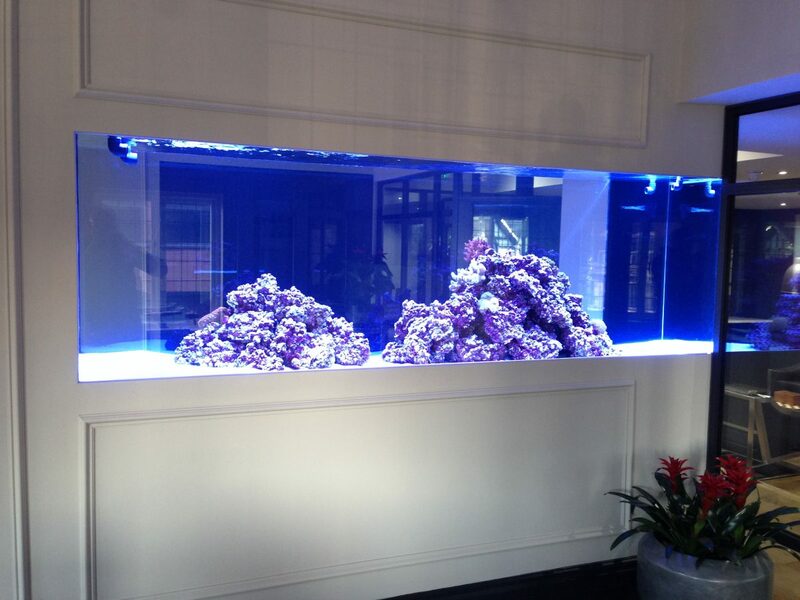 Aquariums are an exciting addition to any home, business or event. Providing an essential calming atmosphere that can sometimes be absent; especially in a busy work environment. There’s something beautiful about watching the fish and appreciating their surroundings. Aquariums also provide an educational experience as well, especially for areas where children will visit. Understanding an aquarium and how everything interacts and works together, including the fish, is sometimes overwhelming. Really though, it’s simple! Aquariums need a lot of planning. If something isn’t quite right the whole aquarium system can be compromised. From the measurements to the fish, everything must be perfect for an aquarium to thrive. Before you start, having an idea of whether a saltwater or freshwater aquarium would be best is a good idea. This is because a freshwater aquarium requires different things to a saltwater aquarium. Some fish also won’t survive in fresh/salt water. If it’s your first time keeping fish, then we’d recommend a tropical freshwater aquarium is a great place to start. An aquarium is a delicate ecosystem in which the fish are the most important to consider. Some fish cannot live together, and certain species cannot live with others of its species. Every fish needs certain conditions. For example, tropical fish will require a heater to keep a specific water temperature. Imitating an ecosystem also requires consideration about oxygen flow. Live plants will supply oxygen but these can be tricky for beginners to succeed with. An alternative is to add an air pump and air stone to bubble air into your tank. Additionally, some filters have a air freature (Venturi) which adds air to the water. Location is another essential thought process. Would it need to be seen from all angles? Would it need to be in a wall, small or large? Would it need a stand, or will it be a free-standing tank? There are so many things to consider when placing a tank. Of course, the aquatic landscape background will have to be decided on to. Lights also could be a great addition to any fish tank, but careful planning around position and type of light is essential. Ornamentation of the aquarium is also important. The fish will want to feel at home. This means including their natural habitat into your decoration plans. Some fish love playing under and around rocks, while others appreciate privacy, sand or gravel. You can choose the ornamentation, but which ones you choose is heavily influenced by what fish you would like. The more fish you want in your aquarium, the bigger it must be. Just like humans, fish require their own space. Especially if you want bigger species of fish, the aquarium needs to be much bigger. The start-up costs will seem a lot, but most of it will be one-time purchases. The overall running cost of an aquarium is low. The ongoing costs will include fish food, test kits, electric to keep everything on and cleaning materials. We highly recommend that every aquarium should have an appropriately sized filter. Overall, there is a lot to consider creating the perfect aquarium. However, once that initial planning is sorted, it’s easy. Sit back and relax with the tranquil life of an aquarium. If you require professional help on your aquarium design, do not hesitate to get in touch with our experts today.